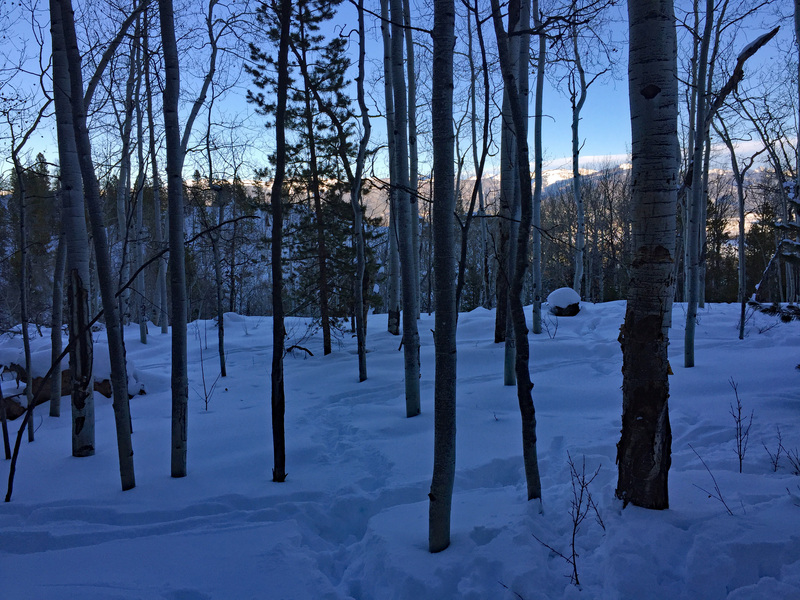 At the bottom of our hill, we found moose tracks in the snow leading into the woods. That’s not unusual; moose often spend time on our mountain property. We see their tracks regularly: the solo tracks of a bull moose, and the double tracks of a cow with calf. Easy to spot in the snow. 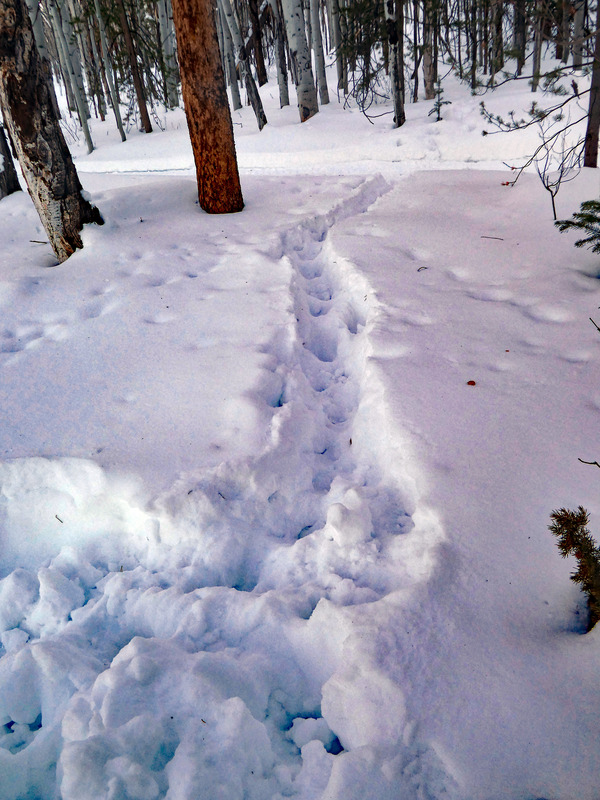 We often get the chance to ski in the moose track. But this was different. Sticking out of the snow was something worth investigating. 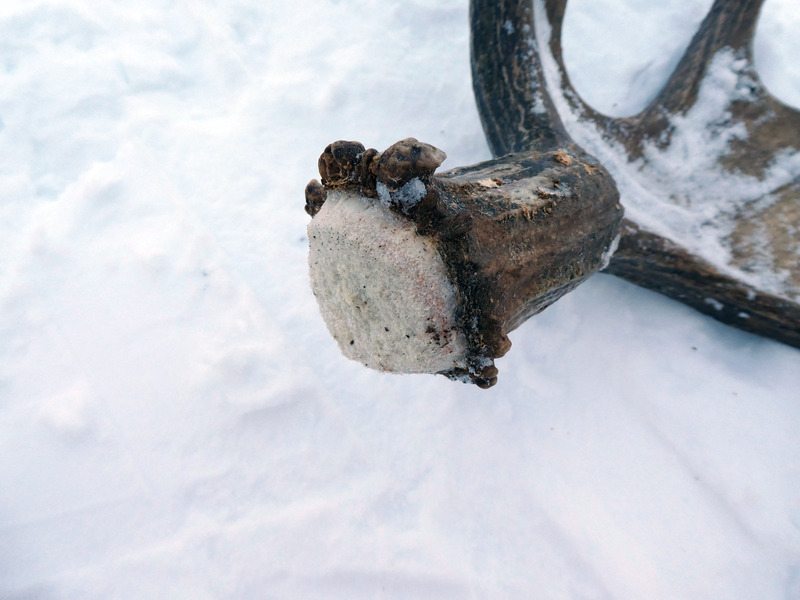 This piece was heavy, too heavy to pick up and carry back to the cabin. 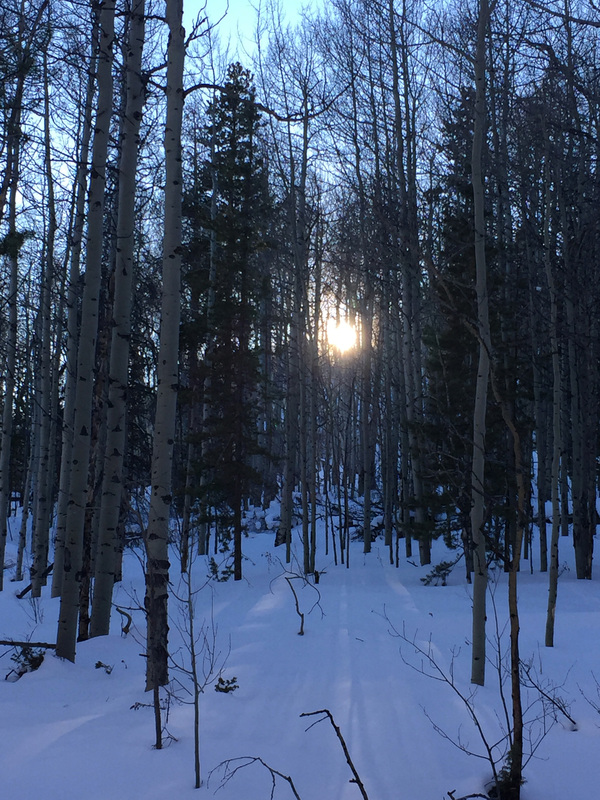 My husband had to get the sled – the one we used to carry our son into the cabin, before he was old enough to ski himself. 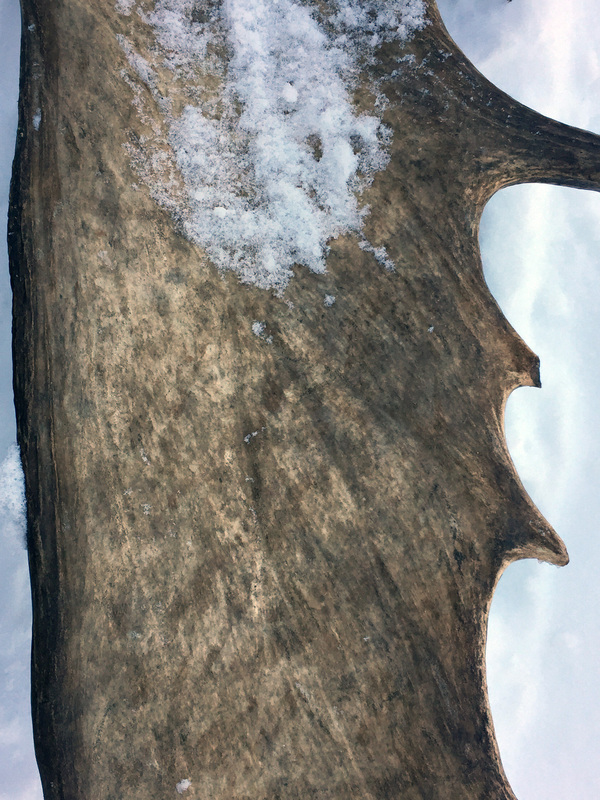 The antlers look like bone, wood, bark, and a flower, all together. Glorious. 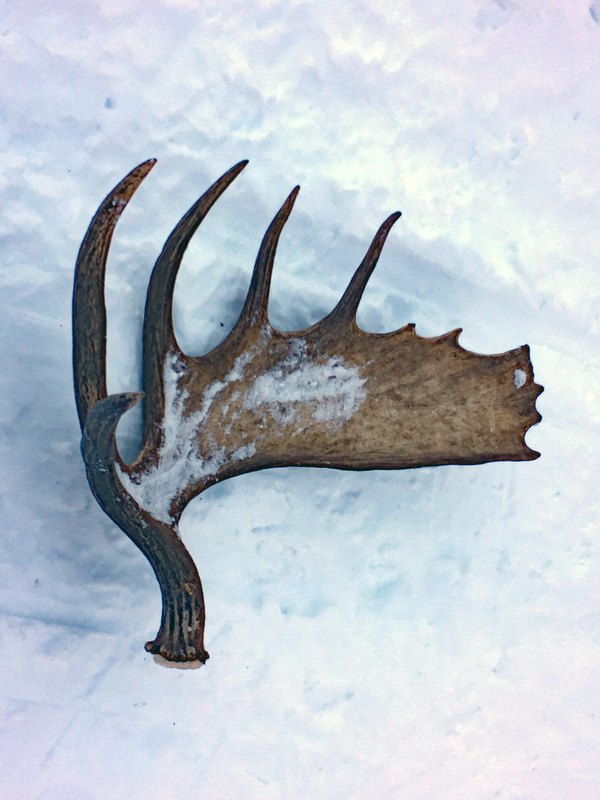 Not easy to carry around on one’s head, even for a bull moose. 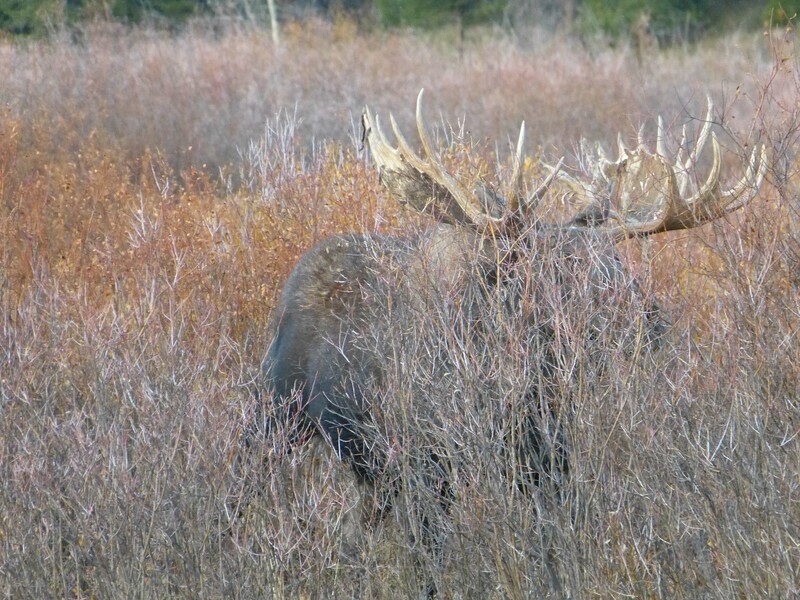 I am reasonably certain that the rack belongs to the (formerly) ornery moose I describe in “Elixir of Ornery Moose” Not too many bull moose occupy the same territory at the same time. 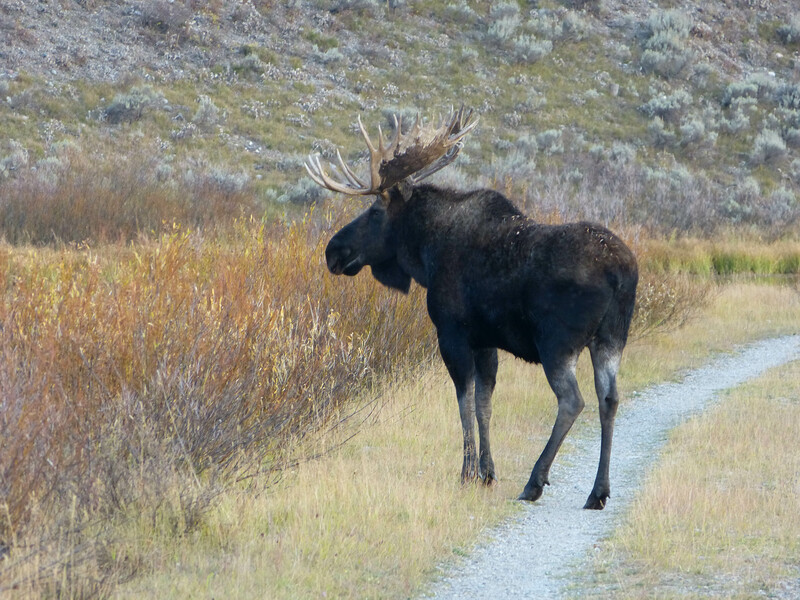 Here’s a picture of a moose in the Tetons sporting a gorgeous headdress. Fresh tracks the next day told us the Colorado moose had returned. Did he notice his rack was missing? 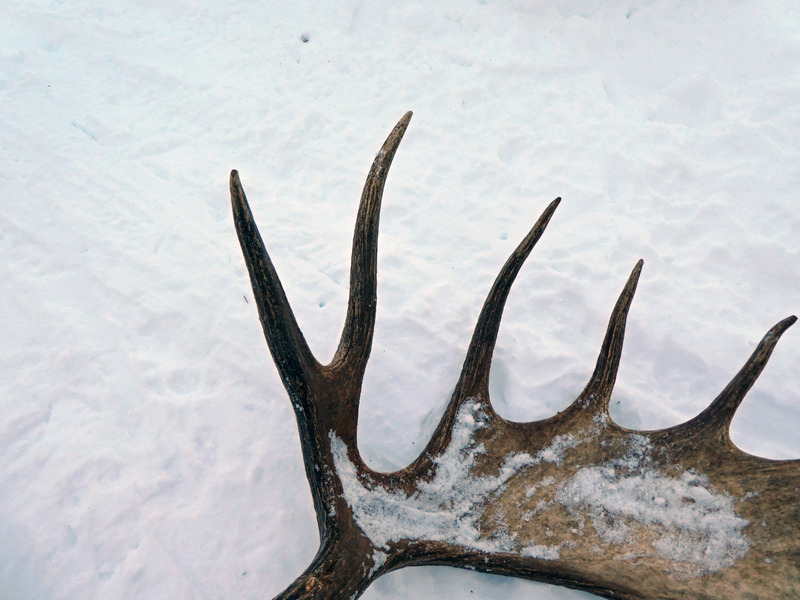 This entry was posted in Colorado, Grand Tetons, moose and tagged antlers, moose, wildlife. Bookmark the permalink. Thank you for this kind comment, Talia. If Kenny is occupying and animating an energy field somewhere, I’m sure he sometimes scandalizes and generally delights his neighbors. Indeed an individual. Yes I miss do him. Kenny was an atheist, as you know. Yet, Catholics believe all who depart on Christmas Eve will go straight to heaven. He would bosh! And that’s putting it politely. Had he been alive when your dog died I’m sure he would have been one of the first of your readers to express condolences. So please accept them from me on his behalf. Dear Talia, I have been missing Kenny on WordPress for some time and wondered how he was doing. Thank you very much for letting me know of his death. How strangely wonderful that he choose the time. And how interesting that he compared himself to a moose. Powerful and also gentle. I’m sure you will miss him a great deal. Hello Monica. Those antlers are an impressive sight. Kenny2Dogs often likened himself to a moose. Or, stag at bay. 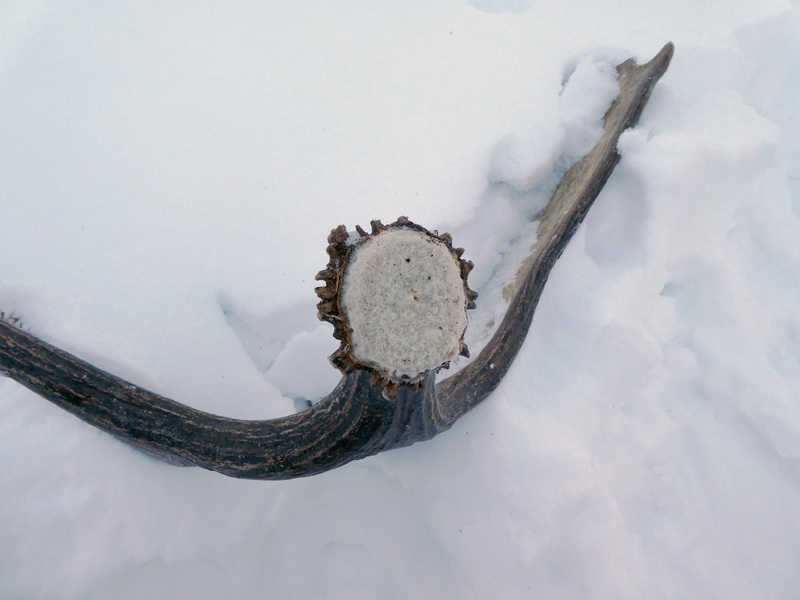 It’s strange you found the moose crown in the snow two days before Kenny died. I’m not sure why but, some years ago, he said Christmas Eve would be his last day on earth. His site is now closed. Best wishes to you & yours.